Published November 21, 2016 / by Robert F.
From the Late Pleistocene onwards our species expanded into the full diversity of the world’s environments. One of these, tropical rainforests, has traditionally been seen as a barrier to long-term human occupation and human migration. Over the last two decades, however, archaeological and anthropological research has increasingly demonstrated that the tropical rainforests of the Africa, Asia, and the Americas have been persistent ‘hotspots’ of human subsistence and activity, ranging from complex rainforest hunting and foraging strategies by early humans during the Late Pleistocene to some of the earliest evidence for human agricultural experimentation and the development of complex societies. The newly-formed Department of Archaeology, in the Max Planck Institute of the Science of Human History, Jena, Germany, is interested in the examination of the longevity and diversity of human relationships with various global environments, including tropical rainforests. To celebrate the opening of this department we seek to bring together an interdisciplinary group, with varied temporal and geographical areas of expertise, in order to discuss the current state of archaeological research in tropical rainforests and the methodological and theoretical pre-requisites for more detailed understandings of ‘rainforest prehistories’. This meeting will provide important impetus for the generation of international perspectives and collaboration in the study of human adaptations to rainforest ecologies, ranging from complex rainforest hunting and foraging strategies by early humans during the Late Pleistocene to some of the earliest evidence for human agricultural experimentation and the development of complex societies. 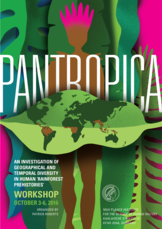 It is hoped that this workshop will be the first of a series of conferences that explore the diversity of methods and temporal and geographical perspectives that can be taken in the study of our species’, and its ancestors’, occupation and use of rainforest environments.